"Immaculate Vehicle/ Campers and Impecabble Service"
A family run business with a fleet of vehicles with different types from campervans to 4-wheel drives. 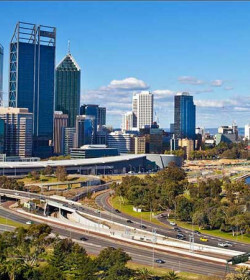 Campabout OZ- is located just 25 mins away from Perth airport in Western Australia. They provide affordable motorhomes for travellers who are seeking 2-3 berth and 5 berth vehicles. 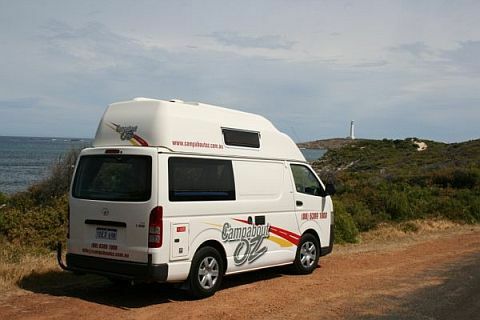 Campabout OZ is a family owned company who has a wide variety of vehicles to offer including campervans, 4-wheel drives, caravans and camper trailers – but we’re just going to deal with the campervans here. They cater a wide range from luxurious to mid-range customers. They provide some extra facilities such as toilets, kitchen, awning, shower etc. and guarantee not to cancel the contract even if another customer is willing to pay more money. 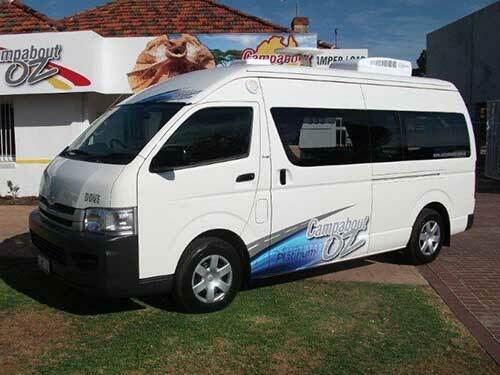 They have some well-equipped campervans in their fleet, which can accommodate 2-5 persons. Currently, they have three campervans which are properly maintained and are not more than ten years old. All the campervans have side awnings and 2-3 seater vans come with toilet and shower as well which not every travel company offer. They also provide sink with electric pump, freezer and gas stove so that you don’t have to worry about food spoiling which will save you in the long run. 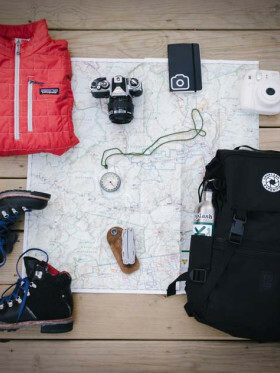 So if you are planning a vacation, then this company can be a good option, as they provide some latest gadgets in the same price range along with well-maintained vehicles. 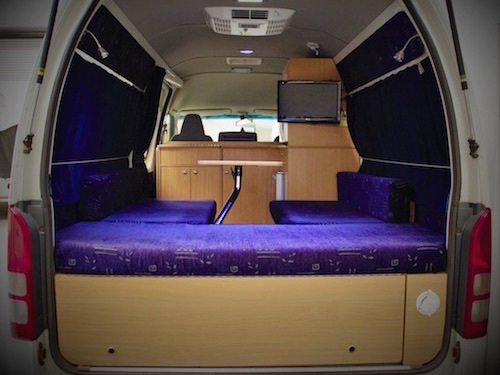 There are three types of campervans available - a 2 berth, 2-3 berth and 5 berth. The 2-3 berth campervan is called “Platinum” and is built on a super long wheel base Toyota Hiace making it longer than most its competitors that only use the Long Wheel Base. It is pretty cushy inside with a layout that is pretty traditional for the design that has the kitchen at the driver end. Something special that this model has that is pretty rare though is the an air con unit in the main cabin. Western Australia gets pretty hot the further north you go and this little addition is enough to separate this campervan out from the crowd. Highly recommended to look at when you are getting prices. The 2 berth campervan is the newest addition to the fleet. It comes with options such as toilet, shower, awning, gas stove, sink, spacious bed, TV, DVD player and more. Built on the Mercedes Sprinter this kind of model is becoming the new standard for luxury 2 person campervans, similar ones are offered by Maui and Apollo. It is nice to see an independent company giving those larger ones a run for their money. 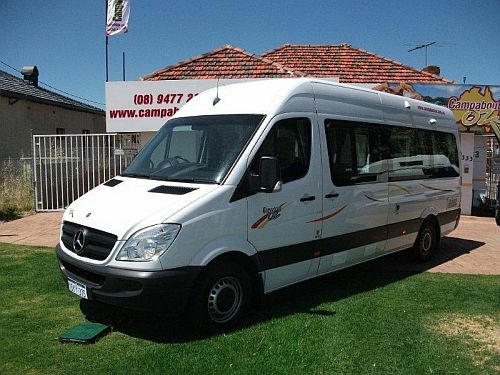 It would be worth checking in for prices and inclusions on this campervan next time you are looking to rent from Perth. Finally there is the 5 berth Family campervan. Listed as 2 adults and 3 kids you’d have to be a brave person to do 5 people in this model. Campabout OZ have come up with their own design for this model and they seem to be quite proud about it however they have only supplied a double bed and a single bed, so it’s going to be a fun squeeze for 5 peeps. Kids under 7 can’t ride in the front so we are not talking a buch of little takers under 5 that don’t take up much room. Maybe they’re going to throw a tent in for free? But then how are you going to divide the parents best between the 2 sleeping units? Look, there are ways to get through any situation but for my mind trying work 5 – or even 4 – peeps into this camper is a bad idea. 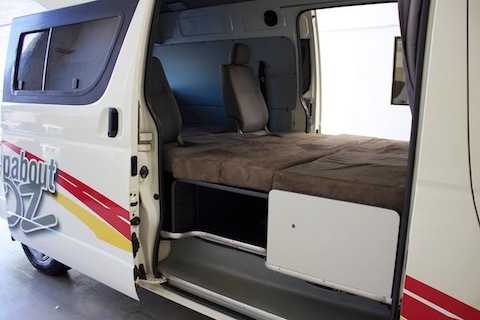 Look at this campervan as a 3 person camper and you will have a good comfy ride and a nice sleep, but if you are looking to squeeze 5 into one campervan, I would go elsewhere. The standard damage liability is up to $6000 of which a bond will be collected at the time of contract and payment of this bond is only accepted by credit card. 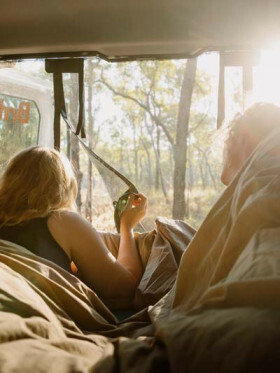 Apart from this, Campabout OZ offers two reduction policies. In option 1, a $1000 liability applies, a bond of which will be collected at the time of the contract, and can be purchased at $30 per day. The maximum rental of $1500 can be paid i.e. it will only be charged for the first 50 days of hire. After 21 days of hire one free windscreen damage will be covered. In option 2, a $500 liability applies per claim, of which a bond will be collected while entering the contract. It can be purchased for $55 per day with a maximum payable limit of $2750, hence 50 days’ rental. One-time free windscreen damage is also covered under this option, applicable after rentals of 21 days. The vehicles of this company are reported to be well maintained and in immaculate condition. They are not very old and they have all the essential gadgets that people are looking for. Out of the country tourists commented about perfect service provided and admired the delivery of a high quality service. Some customers talked about the guide which explained everything before the start of their holiday about the campervan instead of other companies who only provide a DVD. The money transfer methods of the company are also flexible and customers have shown their satisfaction over the online fee transaction. Such services are not provided by most of the companies. Overall, Campabout OZ provides 24 Hour Nationwide roadside assistance. 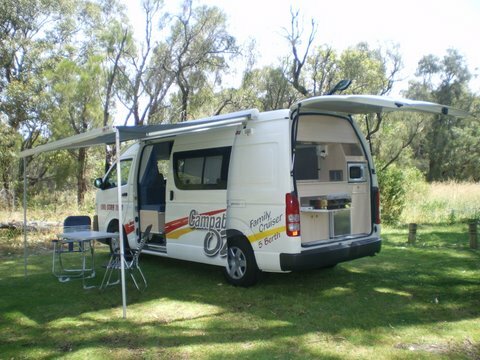 They also promise to do their utmost best to ensure you have a fantastic campervan and WA holiday experience. The 5 berth family isn’t that great for 5 people. One depot only - in Perth. Impeccable service from start to finish. We hired the 4WD and caravan package for 4 weeks. Vanessa from the office is a great help in planning our family holiday. She's very professional, friendly and answered all questions we had before booking. During pick up, Ryan greeted us straight away and we were very impressed with his patience in showing us how to set up our caravan (first timers). It can be overwhelming to absorb all the information on pick up especially being our first time to use a caravan but he went through it all patiently and made sure that we have everything we needed for our trip. Both vehicle and camper are quite new and immaculately kept. The after hours number was very handy and response turnaround time was quick. Thank you so much for your great service and looking after us. We enjoyed our first caravan trip and we will definitely be hiring from you again. We rented the new model hilux camper from CampAbout Oz in Perth for out trip to Margaret River. The camper was well equipped and the toyota hilux had ice cold air conditioning even on the 38+ Celsius days. It was a great trip and we can’t wait for next year to get back to western australia and explore the coral coast and camp at Shark Bay. From what I saw of the Campabout Oz vans, they are all immaculately kept and quite new. They are mainly in Western Australia and you see a lot of them on the coast north of Perth up to Exmouth. Apparently they have branches in Broome and Darwin. Technically this means that they are not W.A. only, but if you are doing the Perth – Darwin run or reverse, these guys would be worth a price check.